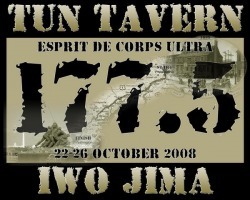 Welcome to the Official website for the Esprit De Corps 177.5 Ultra Marathon. Inspired by the Injured Marine Semper Fi Fund four motivated Marines have dedicated a run in honor of our Wounded Warriors who've faithfully served overseas. 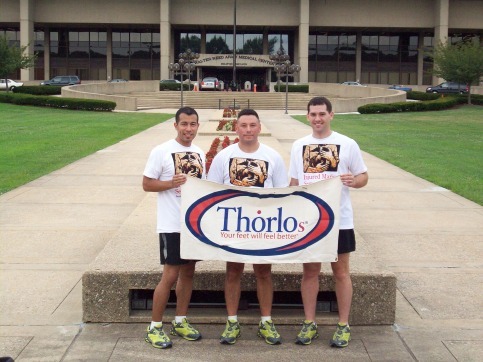 From 22-26 October 2008 we will embark on a 177.5 mile run to raise funds, awareness and support to these Warriors through the Injured Marine Semper Fi Fund. Our run will begin on 22 October 08 at Tun Tavern in Philadelphia, PA and end at the Marine Corps Marathon finish line in Washington, DC on 26 October. 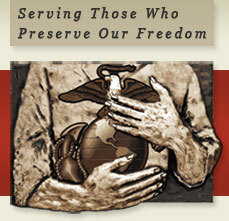 Please lend your support in helping us honor our Wounded Warriors. Semper Fi & many thanks for your generous donations! Team Esprit De Corps: Joe, Brandon, Andrew & Dennis. PLEASE DON'T FORGET TO SIGN OUR GUESTBOOK! Want to Blog with us? click here and leave a message!